Visit Songbook’s Antônio Carlos Jobim index. 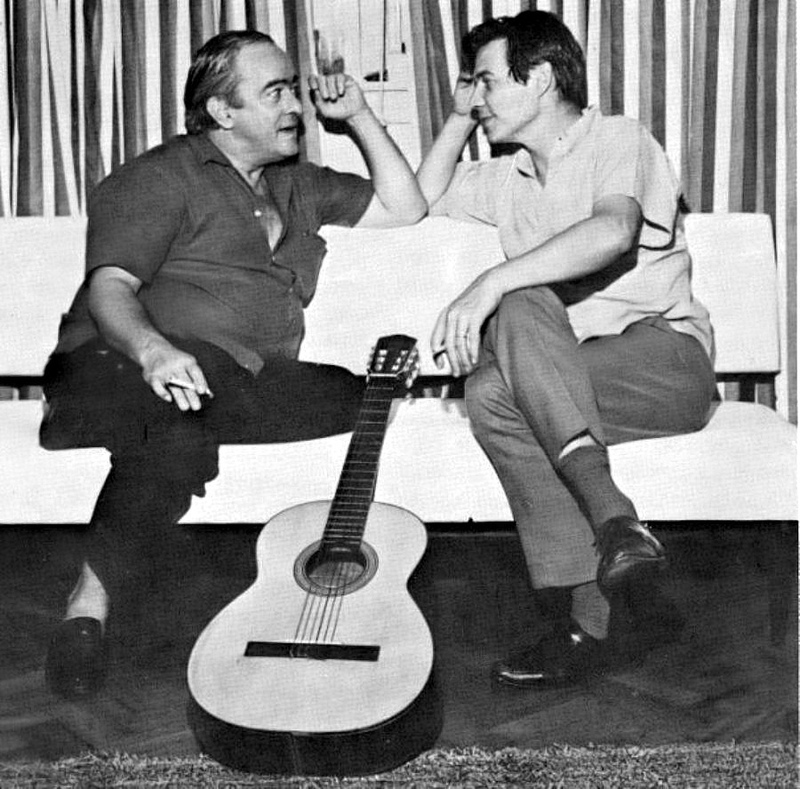 In the chapter “Freedom” of the 2011 book Antonio Carlos Jobim: An Illuminated Man by Helena Jobim, sister of the biography’s subject, the author indicates that Tom Jobim and Vinícius de Moraes were formally introduced in 1956 at Vilarino*, a Rio bar popular with musicians, intellectuals, and journalists. 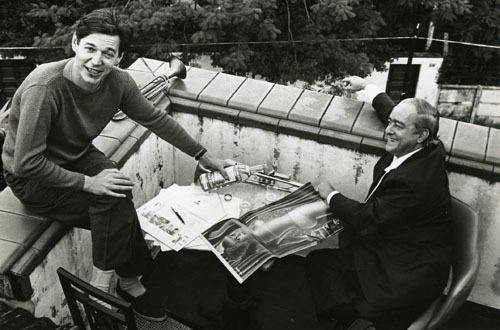 Finding that they “immediately connected very well,” the pair soon left for Tom’s home and began to work on the music for the de Moraes play Orfeu da Conceição that day. 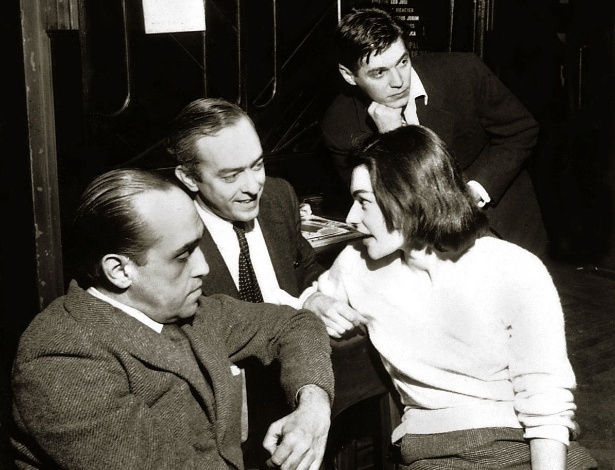 * Vilarino — It’s not clear to me whether Helena Jobim spelled the name of the venue incorrectly or the spelling has been changed. The place is now called Casa Villarino.